The new “Feather Touch” focuser that we have been after for some time was finally installed today. The focuser will provide a more precise control over the fine focusing of the telescope and will comfortably handle heavy eyepieces or even cameras. 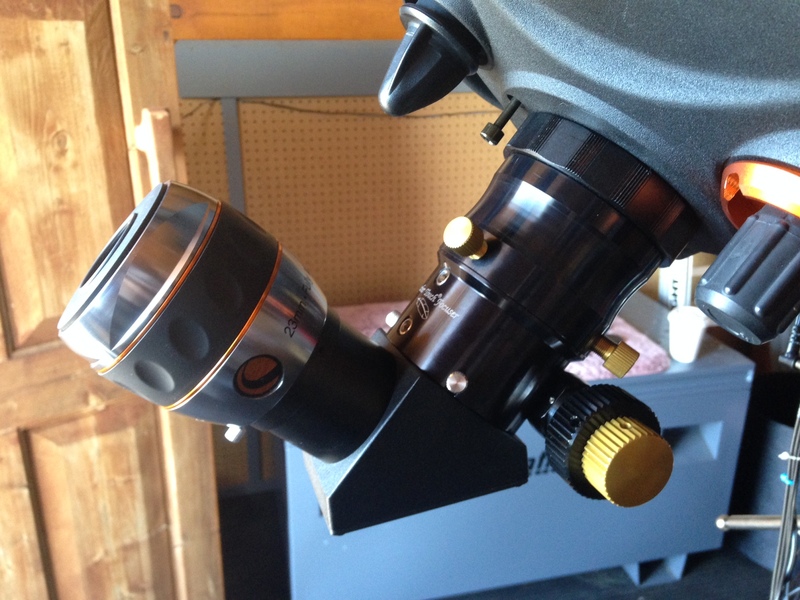 The focuser was purchased with part of the grant that we received from Rotary – thank you!. At 7:30 PM, 11 May 2018, at the Sunshine Coast Art Centre, 5714 Medusa St., Sechelt, the Sunshine Coast Centre of the RASC presents Dr. William Wall, whose topic is: Basic Properties of the Large Millimeter Telescope Alfonso Serrano. The Large Millimeter Telescope Alfonso Serrano is a world-class radio telescope and is the largest scientific project in Mexico. The LMT is technologically advanced, permitting it to observe the much of the universe, thereby expanding the frontiers of science. Using examples from everyday life, I will illustrate the impressive technological capabilities of the LMT. I will also discuss the benefits transferred to industry by the scientific developments required by the LMT project. involves observational studies of the interstellar medium, using radio telescopes, including the LMT. He occasionally gives talks to the public about the LMT.